So you may be telling yourself that as long as you know a few words, phrases, and tones then you will be just fine. Simple information might be able to suffice for a short stay in Beijing over a weekend (even that is a long stretch) but it will not be enough. Try to visualize a person who has learned a few words and says them at times that are sometimes correct and at other times wrong. For native English speakers, this would be very awkward and the person would sound like a robot. When you are trying to connect with people especially abroad you don’t want to sound very robotic because it makes it more difficult to understand. Communication involves much more than being able to remember certain phrases and words. In order to excel and impress others with your Chinese skills, you’ll have to master Chinese grammar. Keep reading to find out what tips are the best way to learn Chinese grammar! You may recall those language arts lessons back in early grade school but do you really know what grammar entails? Every language has grammar and it is a system composed of varying concepts that help us to structure communication in a very logical way. The syntax is the way we form sentences by combining certain words to create certain contexts. Morphology is the way we create words and it refers to the connection words have two each other within a certain language. Phonology is the sounds and tones when we speak a language. Semantics relates to the definitions behind certain words or phrases and the ways you speak in a certain language. So that’s just a little overview now it’s time to get into the fun stuff. Don’t get too intimidated this is the most essential part up learning Chinese. Remembering phrases and random words does not relate to grammar. Grammar is the basis on which to form all knowledge about a language. In other words, to become an advance Chinese speaker or fluent in any language outside your mother tongue, it is critical to have a solid understanding of the Chinese rules of grammar. Let’s further discuss the significance understanding Chinese grammar. Why do I need to understand Chinese grammar? Language fluency is predicated on a solid comprehension app Chinese grammar. We will imagine you reading this speak English natively. Now ask yourself for a moment how advanced would you be in your English writing speaking and comprehension skills, if you didn’t understand the simple English rules of grammar? Similarly, Chinese grammar is fundamental to progressing and your understanding of the language. 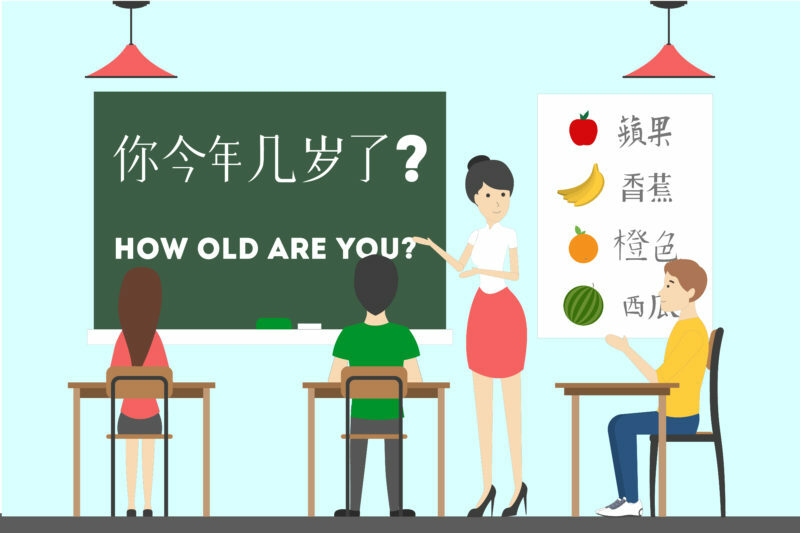 If you are beginning on your journey of learning Mandarin sooner rather than later is the prime time to figure out the basic rules of Chinese grammar. In order to form sentences that make sense and that form coherent ideas, you have to understand the basics of grammar. A mistake that a lot of beginners make is choosing to focus on remembering random phrases and words. If you are planning on traveling to China or need to pass a mandarin exam for your language class been memorizing a few words and phrases may work for you. On the other hand, the people who want to be experts of the Chinese language need to realize how important grammar is to forming good sentences. Fortunately, if you speak English you will be happy to know that English and Chinese both use similar sentence organizing known as SVO which is subject + verb + object. For example, a sentence in Chinese would read this way: He jumped rope. I know what you’re thinking, pretty straightforward, huh? I hate to burst your bubble but there’s more! I thought Chinese in English share some similarities there can be some confusion when understanding the difference of when to use auxiliary verbs, negation, and adverbs. Other things like how to use adjectives, compliments and different conversational nuances can cause further confusion when trying to learn grammar plus there is no concrete guide on these pieces of Chinese grammar. They can be used both at the beginnings or ends of a sentence. If you want to get better at putting sentences together in Chinese you have to practice, practice, practice. For example, find a word phrase or sentence in English or whatever your native language is separate the parts of a sentence and said they are a Chinese translation headset to memorize where words need to be to make sense. Flash cards are a perfect way to advance your progress in Chinese. It can be a fun way to make learning less taxing and more enjoyable. After enough practice, you’ll be able to form sentences a lot quicker and with a lot more precision. You will be impressed when you when you start understanding where to place certain words and how to make them make sense according to the rules of Chinese grammar. English grammar allows us to ask questions simply by putting the symbol of a question mark on the end. In Chinese this is different but it is not a complicated rule. Informal Mandarin questions are punctuated with a word known as ma (吗) instead of a mark. In other words, 吗 is the Chinese equivalent of the English question mark. Asking formal questions can be more confusing because instead of simply putting 吗 (ma) at the end of the sentence you have to experiment with the wording of the sentence. As a result of Mandarin being a tonal language, using actual words to indicate a question makes much more sense than just a punctuation mark. Chinese grammar may not be a complete piece of pie but it is certainly not impossible. No matter what language you decide to learn to understand the basic rules its grammar system will make the process of learning much easier. As long as you stay consistent, invest time into both studying and practice, you will be able to make it happen. Although it may be tempting to jump right into learning certain words or phrases, remember that your language acquisition is built off of your understanding of Chinese grammar. With the tips and tools in this article, we are confident that you will know the best way to learn Chinese grammar!